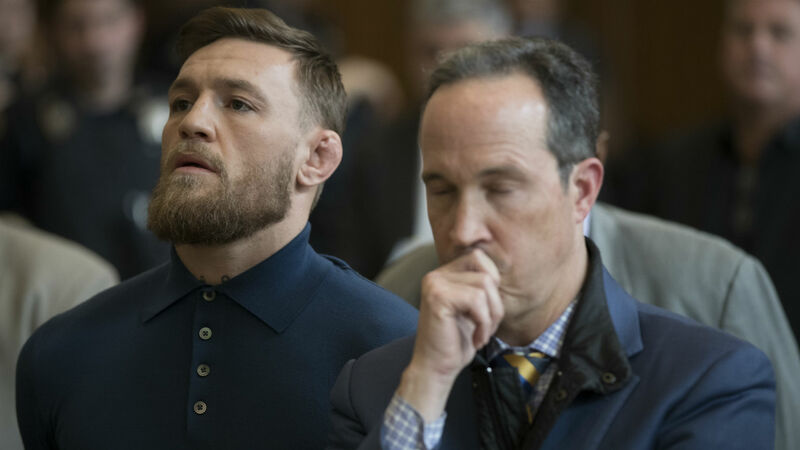 Conor McGregor is reportedly nearing a plea deal for his April arrest, which took the UFC community by storm when he interrupted a media event at Barclays Center ahead of UFC 223 and allegedly attacked a bus carrying several fighters. According to TMZ, McGregor’s lawyer is negotiating a plea deal that could include reducing his felony criminal mischief charge to a misdemeanor and probation, which means he might not face jail time. He was initially charged with three counts of misdemeanor assault and one count of felony criminal mischief. McGregor appeared in court briefly on June 14 and is due back Thursday. During the UFC 223 media day session on April 6, McGregor, Cian Cowley and a host of other teammates allegedly stormed Barclays Center in New York, searching for current UFC lightweight champion Khabib Nurmagomedov. The entourage went to the loading dock area and targeted a vehicle carrying rival fighters who were scheduled to fight the next day. Various videos appear to show the group throwing large metal objects at the bus, including a barricade and dollies. McGregor eventually turned himself in to NYPD and was released on $50,000 bail. It was highly speculated the rampage was sparked because UFC president Dana White’s decided to strip McGregor of the lightweight title. Because McGregor has been away from MMA since 2016, White decided the fight between Nurmagomedov and Max Holloway would determine the new lightweight champion.